Two dead. One left in a car by the side of a road. He was meant to be found quickly. His killer is making a statement. The other is discovered hanging in a tree, deep in a forest. Surely a suicide: she’d just given birth, but there’s no sign of the baby.Nothing seems to link the two, but Detective Sergeant Sean Duffy knows the links that seem to be invisible are just waiting to be uncovered. 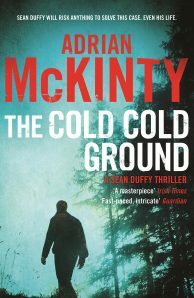 And as a policeman who has solved six murders so far in his career, but not yet brought a single case to court, Duffy is determined that this time, someone will pay.